Congrats to Justin Stafford'19 & Chelsea Rowe'18 on Group Experimental Video Show at School 33! Congrats to Justin Stafford'19 & Chelsea Rowe'18 on exhibiting in a group experimental video show! 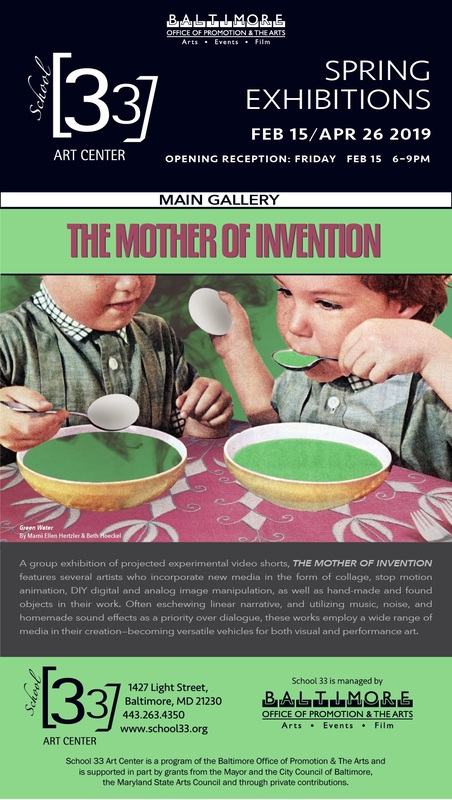 "Mother of Invention" at School 33 Art Center (Main Gallery) opens this Friday 6-9pm. Location: 1427 Light St. Baltimore, MD 21230.